There is currently a global outcry by environmentalists about the sudden and devastating losses of bees across the globe. As an American, I was more than aware of the losses of bees across the United States and the effect these losses have had on beekeepers and the environment as a whole. Some scientists say that if certain species of bees die (such as the honey bee), humans have less than a decade to survive due to the lack of pollination by bees—which is alarming and extremely concerning. Without bees, we would lose many different types of foods such as almonds, avocados, broccoli and cranberries among many others. 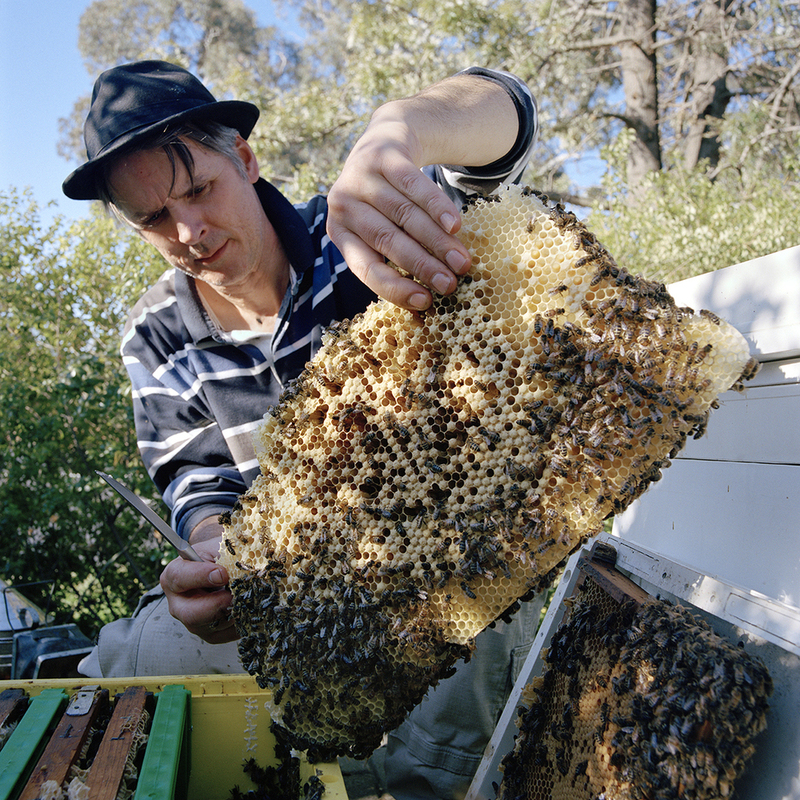 As an exchange student studying photography in Australia, my goal with this project was to document the process of beekeeping practices and the problems faced by modern day beekeepers—and the trouble bees and their keepers alike, are having in Canberra, Australia. 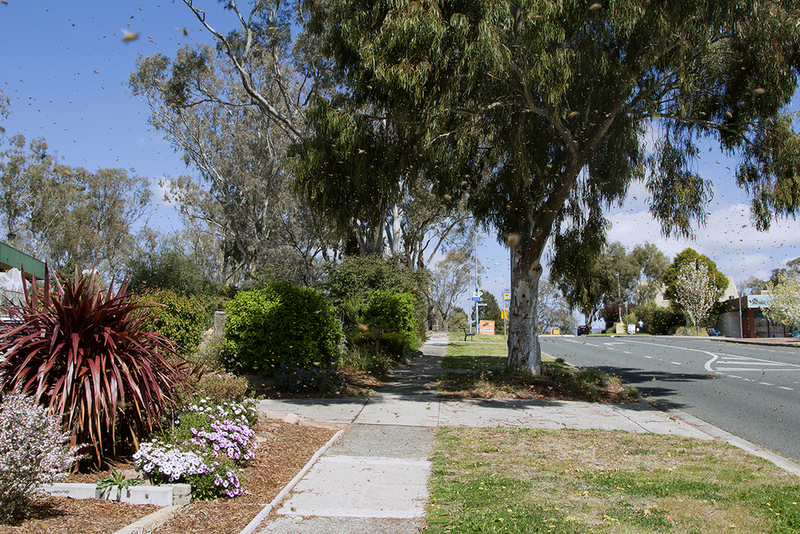 I aimed to explore and answer questions such as: Do problems faced by Australian beekeepers reflect those faced by beekeepers in other parts of the world? 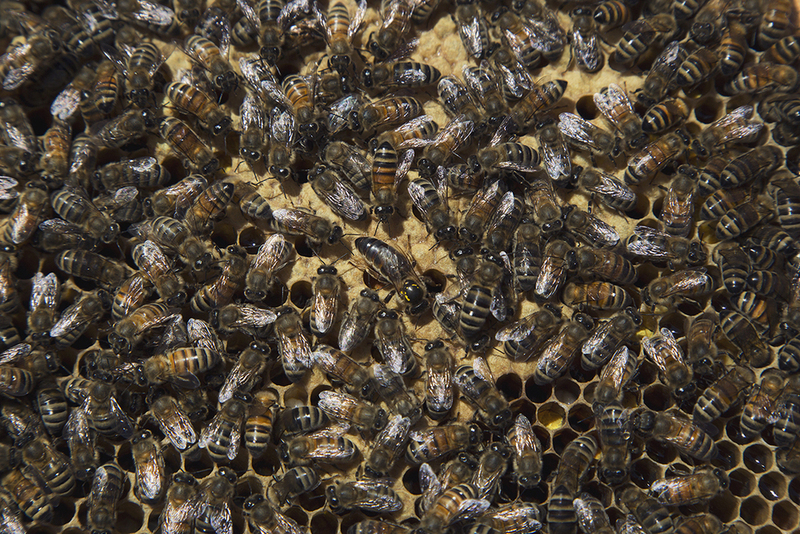 What steps are being taken to prevent large losses of bees? Why is Australia different from the United Kingdom and United States in regard to disease among bee colonies? And what can the average person do to help? Over a period of three and a half months, from August to November of 2014, I worked alongside many beekeepers and gathered both imagery and data from my experiences and observations. I shadowed local independent beekeepers, while also working with the ANU apiculture society on the Australian National University campus. During my time in the field with these beekeepers, I became immersed in the incredible life of these wonderfully compassionate yet hard working individuals. The determination and diligence expressed on a daily basis by these beekeepers mirrored the honey bees that they worked with. By bringing an artistic perspective to the issues faced by both bees and beekeepers around the globe, I intend to reach a broader audience and educate those that are unaware of these particular issues. Australia is important because it is not facing problems other countries are combatting, such as the Varroa Destructor (a parasitic mite that has wiped out countless bee colonies across the globe). Starting this project in Australia has been an eye-opening journey; however, Australia is only a small piece of this puzzle and I am quite eager to reach out to other beekeepers in different parts of the world in the future and continue documenting.